Helisert screw thread inserts are made of helically coiled 18-8 er 304 stainless steel 6- Inconel x-7S0 wire with a precise diamond shaped cross section to accomodate internal and external threads simultaneously. When assembled in a tapped hole the insert presents a permanent internal thread which conforms to standard specifications. The inserts are available in two basic types - STANDARD (free running) and SCREW- LOCK(interlocking locking). 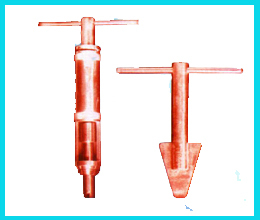 We also manufacture BSW, BSF,BA & NPTthread inserts.